How was the weather in may 2018? You wish to visit Marrakesh in Morocco in may : check how are the weather and seasonal norms below. The weather in Marrakesh in may comes from statistical datas on the past years. You can view the weather statistics for all the month, but also by clicking on the tabs for the beginning, the middle and the end of the month. The month of May announces the coming of the dry season with only 4 days of rain for the whole month. As for the heat, it starts to be felt in the morning with temperatures near 16° C while the daytime is really hot - with temperatures climbing up to 30° C most of the time. Fortunately with a gentle breeze blowing over the city and relative humidity within acceptable limits, the climate throughout May in Marrakech offers ideal weather conditions. During the month of May, the temperature continues to climb to the point of peaking at around 30° C. At this time of year, it is better to plan tourist activities in the first part of the morning or late in the afternoon. The heat is pleasant, especially as the day lasts longer and longer with a duration of approximately 13 hours and 40 minutes - leaving visitors more time to appreciate the wonderful gardens of the city. With a fairly high temperature, the heat is stifling by midday. This time of day is recommended for resting, in order to be prepared and freshened before starting other activities. However, with a clear sky and an omnipresent sun, the climatic conditions favor perfect weather in Marrakech in May. The weather in may in Marrakesh is quite dry ; it does not rain often (20mm of rainfall over 4 days). The climate pleasant in this location the month of may. The thermometer averaged maximum of 30°C. In the morning the temperature drops to 18°C. Thus, the mean temperature average on this month of may in Marrakesh is 24°C. Note that these seasonal averages are in contrast with those observed in Marrakesh in the month of may with a maximum record of 43°C in 2015 and a minimum record of 8°C in 2009. You can hope to have about 15 days with temperatures over 30°C, or 48 of time. Day length in Marrakesh in may is 13:46. 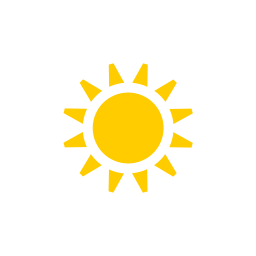 Sunrise is at 05:36 and sets at 19:22. With ideal weather conditions, may is advisable to go in this locality. Check below seasonal norms These statistics are compiled from the weather statements earlier years of the month of may. How was the weather last may? Click over cities on the map for information about the weather in may. Weather data for Marrakesh for may are derived from an average of the weather forecast since 2009 in Marrakesh. There is a margin of error and these forecasts are to be considered as general information only. The weather in Marrakesh can vary slightly from year to year, but this data should limit surprises. So you can pack your bags or check for the best time in year to go to Marrakesh. Best time to go to Marrakesh?